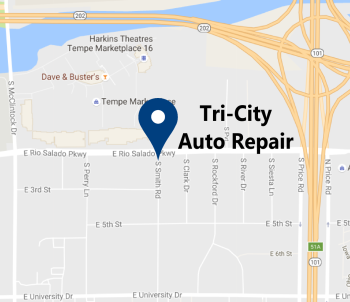 Tri-City Auto Repair is a family-owned auto repair shop in Tempe, Arizona that has been in business for over 45 years. We provide complete auto repair for most domestic cars, light trucks, and SUV’s. At Tri-City Auto Repair, we are in business to make a customer and a friend for life. Our job is to correctly diagnose the problems with your vehicle and give you options on how to fix it that fit your needs, not ours. 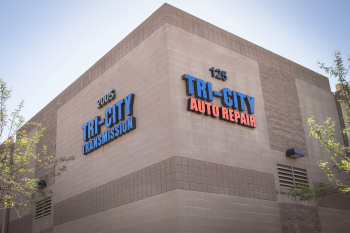 Why do customers choose Tri-City Auto Repair? Read what they say in their own words! If you don’t have an auto repair shop you can trust, we invite you to give us a call to schedule an appointment for an oil change service. The oil change service is a low risk and inexpensive way to meet with a new auto repair shop and learn if they are a right fit for you. Click here for more information about Tri-City’s long history.